Chris Robinson has been rockin’ for over thirty years. Atlanta residents have loved him since the 1980’s when he and his brother, Rich, conquered their city – first as Mr. Crowe’s Garden, then as The Black Crowes. It was that last band name that the rest of the world became gleefully aware of them when their album, Shake Your Money Maker, was unleashed. In 2010, Chris and Rich put the band on an indefinite furlough and began to work on their own projects. 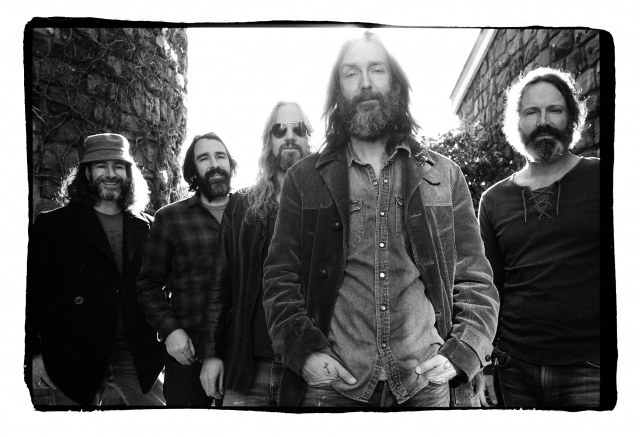 Chris’s is The Chris Robinson Brotherhood and has been described by some as what you would get if you blended the Allman Brothers with The Grateful Dead. Chris would say they’re just making music. That Bird On Your Windowsill. In it, Chris said that the question he hated most usually involved being asked if it was hard working with his brother. The film then went on to show Chris a ration of you-know-what each time he was asked such a question. Since Chris is now a solo act, I mentioned the documentary comment and asked if there was a similar question that I needed to avoid asking. He laughed and said, “No! No! No! No! Are you kidding? I think, at this point, that question is moot. I mean, you know what I mean? I mean, I’m a solo act, too. The Brotherhood definitely is a band. We just put my name on it to jump in line, occasionally, when we have to.